Corneal transplantation, also known as corneal graft or keratoplasty, is usually done when there is loss of vision in one eye due to damage to the cornea as a result of disease or injury. The cornea is the transparent layer of tissue in front of the eye. When the cornea becomes cloudy, light cannot enter the eye sufficiently well, thus causing poor vision or blindness. Corneal transplant is one of the most commonly performed transplant surgeries where the damaged cornea is replaced by corneal tissue obtained from another human eye. 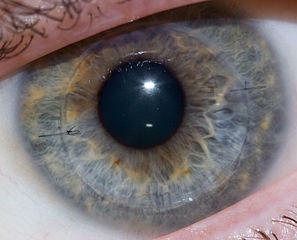 The corneal tissue for transplant should be taken soon after death of the donor. Overall, a corneal transplant usually has a good outcome but graft rejection may be an undesirable complication. The cornea is the transparent layer of tissue that covers the front of the eye. It is responsible for refraction of light passing through it, thus enabling proper vision. Damage to any part of the cornea may interfere with vision. The cornea does not contain any blood vessels. It is nourished by tears and by the aqueous humor in the anterior chamber of the eye just behind the cornea. The function of the cornea is to protect the eye from bacteria, dust, and other harmful matters. It also acts as a lens that regulates the entry of light into the eye. Clear vision is obtained by proper focusing of the light rays by the cornea. By acting as a filter, it also protects the eye from the harmful effects of ultraviolet (UV) rays of the sun. Superficial injuries of the cornea usually heal by themselves without any long-lasting effects. Deep injuries of the cornea, however, may cause scarring and permanent damage, which may interfere with vision. In such cases, corneal transplant may be the only option for successful treatment. Epithelium. It makes up the outermost layer of the cornea and acts as a protective layer that prevents foreign bodies such as dust, water, bacteria, and other harmful matter from entering the eye. Its smooth surface absorbs oxygen and nutrients from tears and distributes them throughout the rest of the cornea. The nerve endings on the epithelium make the cornea highly sensitive to pain. The lower layer of the epithelium forms the basement membrane. Bowman’s layer. It consists of collagen or protein fibers and form a transparent layer just below the basement membrane. Following an injury, scar tissue may form within this layer, which can interfere with vision. Stroma. About 90% of the corneal thickness is made up of stroma, which lies beneath the Bowman’s layer. It is made up largely of water and collagen, of which the latter gives the cornea its shape, elasticity, and strength. Descemet’s membrane. This is a strong layer of tissue made up of collagen fibers which helps to protect the eye against any injury or infection. The cells of the Descemet’s membrane are capable of regenerating after damage. Endothelium. This is the innermost layer of the cornea. It is a thin membrane whose function is to pump excess fluid out of the stroma (which normally accumulates there due to leakage of fluid from inside the eye) and thus maintain transparency of the cornea. The cells of the endothelium do not regenerate following damage. Significant damage to this layer may lead to corneal edema and loss of vision, which may only be treated effectively by corneal transplant. In younger patients, keratoconus is a common indication, where thinning of the cornea may cause it to change its shape and thus lead to vision problems. In older patients, Fuch’s endothelial dystrophy is more common, where the cornea may become cloudy and thus cause vision loss. Corneal scarring due to infection such as eye herpes or injury may cause problems with vision. To prevent or treat corneal perforation which may occur due to thinning of the cornea. Chronic corneal infection that is not responding to medical treatment may need a corneal transplant. Corneal abrasion (scratched cornea) either due to mechanical or chemical damage. Complications due to previous eye surgery. A corneal transplant may be full thickness or partial thickness keratoplasty. Penetrating keratoplasty – in this procedure, the full thickness of the cornea is grafted. Lamellar keratoplasty – in this procedure, only partial thickness of the cornea is grafted. Deep lamellar keratoplasty – this is also partial thickness keratoplasty, where most of the anterior corneal layer is removed. Only the endothelium is left behind. This is a more complicated procedure but the risk of graft rejection is greatly reduced. Deep lamellar endothelial keratoplasty (DLEK) – in this procedure, only the endothelium is grafted. An air bubble injected inside the eye keeps the endothelium attached to the stroma in front. Triple procedure – in this procedure, a penetrating keratoplasty is combined with cataract removal and intraocular lens (IOL) implant. Corneal transplant is usually performed as an outpatient procedure, where no hospitalization is required. It is usually done under local anesthesia but general anesthesia may be preferred in some cases. A round section of the cornea from the affected eye is excised (cut) and replaced by a similar corneal section from the donor eye. This is stitched in place by means of non-absorbable sutures. An eye patch may be used for a few days after surgery. An eye shield or glasses may be worn for protection. Graft rejection – the body may reject the transplanted tissue. Early graft rejection or primary graft failure may occur within 24 hours of surgery. Late graft rejection is possible within 6 months to a year.